Home→Our Journey→Getting Ready→My Midas Touch – NOT! 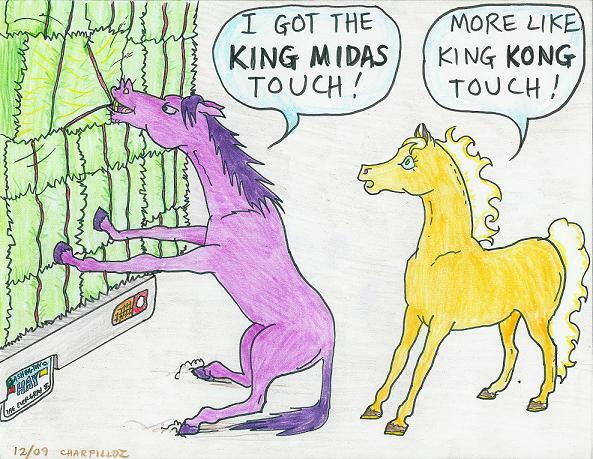 My Midas Touch – NOT! Well, in my last post, I provided an update on all my activities, so as you know the scanner, shredder and I have been very busy . Things were going well but boy, oh, boy how quickly things can change! Our shredder was a fairly industrial strength higher end unit, an Executive Choice VS1500CA, that we had bought at BJ’s several years ago. With it you could shred 15 sheets (even with staples) at a time as well as CD’s and credit cards. I was pretty good about emptying the bin so it wouldn’t get clogged but I guess that I wasn’t good enough. Perhaps I should have attended the Paper Shredding 101 class or maybe it just didn’t like shredding thousands of sheets over a short period of time – who knows! But it suddenly started jamming, even with just one piece of paper being put in the feeder. Since I’m not very mechanically inclined, I had to call Mr. FixIt away from his plumbing. When Rob took the top main unit off, you could see that each of the feeder teeth was totally clogged with very compacted paper shreds and dust. Despite using several things to try to free up the paper, the stuff wouldn’t budge – it was like cement. So with his trusty drill in hand, Rob started drilling into each of the slots which eventually loosened the stuff. After working on it for well over an hour, he finally had all the teeth cleaned and that’s when he noticed several of the cutter teeth in the middle of the unit were bent. With pliers in hand, he spent another hour trying to straighten out the teeth but to no avail, most of them broke. Oh, dear, this did not look hopeful! After working on it some more, he finally gave up and put it back together. But, alas, it still behaved badly, jamming with each piece of paper. Oh, oh, I guess I killed it! Okay, so now we need to buy another shredder – not part of our budget plan but, oh well, stuff happens, right? Well, the story doesn’t end here! On Saturday, with the shredder out of commission, I decided to move back to the task of scanning, tackling the Practical Sailor magazine. Each magazine, actually more like a thick pamphlet, has about 32 pages. To make it easier, Rob suggested that I remove the staples, then cut down the “binding” so I would have a stack of single sheet sized double sided pages which could be fed through the Automatic Document Feeder. Great in theory but after doing a couple of pages, I realized that this method wasn’t going to work. When the sheet feeder reversed the direction to scan the 2nd side, the paper would get jammed. Hmmm, there’s that word again – seems to be the story of my life these days. I decided not to take the magazine apart but to just put it on the scanner glass and manually turn it over for each page. Slower but without all the hassle of having to clear the jam each time. I was able to scan a couple of issues so the scanner was working fine – or so it seemed. Well, on Sunday, after I scanned one page, the scanner started flashing an ominous “ADF (Automatic Document Feeder) Jam Error” with instructions on what to do to clear the jam. Well, after doing everything it said, there was no jam and even after turning it on and off several times, the error remained. Besides not being able to scan, I also couldn’t print anything. Oh, oh, guess I killed the printer – two murders in one week! And of course it is no longer in warranty! Time to call in Mr. FixIt again (now you know why progress has been slow on the bathroom). Here we go again with Rob spending several hours trying to disassemble the beast to determine if there was some tiny piece of paper lodged somewhere but alas, he didn’t find anything. He finally put it back together – it worked for a minute but then that nasty error started flashing again. Since it was getting late and he had a few things to finish on the bathroom project before he quit for the day, he decided to wait for another day to try again. Based on some info we found after googling the error message and the fact that it did work momentarily after he put it back together again, he’s thinking maybe there’s an intermittent wire or something that possibly broke from all the open/close cycles on the cover. He’s thinking that it might take a full day to fix it. It can wait for another day when he has nothing better to do (HA HA) – definitely not a priority right now. Oh and by the way, on the same day as the death of the printer, I took out the blender to make myself a smoothie for breakfast. I pushed the button to turn it on – worked fine but when I went to shut it off the off button wouldn’t work! I finally had to pull the plug to get it to stop! Grrrrr!!! What’s going on??? Do all of these electrical gadgets have some conspiracy against me or what?